The postcard was posted in 1939 as the country was recovering from The Great Depression two years before the bombing of Pearl Harbor and the United State’s entry into World War II. 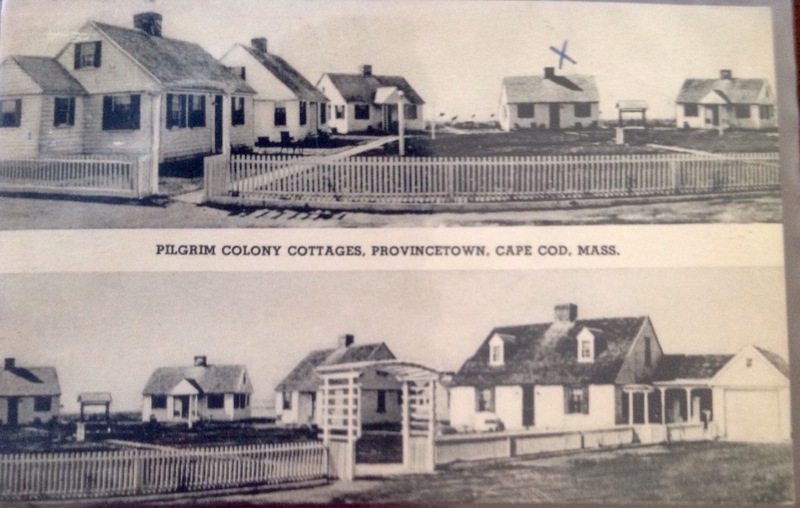 Cape Cod was a popular getaway spot and the bevy of cottages that dotted the edge of Route 6A in North Truro as one approaches the east end of Provincetown are evidence of that fact. Many were built during the first decades of the 20th century and gradually they are becoming condominium. In the sequel murder mystery to Remaining in Provincetown, some of the summer visitors are staying in cottages in Truro. Is that where a crime takes place? You’ll have to read the book to find out, when it is released. While you are waiting, if you haven’t read the first book, now is the time to pick up a copy of Remaining in Provincetown by S.N. Cook.
. Autographed copies are available at the Provincetown Bookshop on Commercial Street or buy a copy in trade paperback or ebook online. Like our page on Facebook and keep the conversation going. Posted on July 27, 2015 by S.N. Cook. This entry was posted in Antiques & Collectibles, Cape Cod, Historic Buildings, Provincetown, tourism, Truro, Writing and tagged Cape Cod Cottages, North Truro, Pilgrim. Colony, Provincetown Bookshop, Remaining in Provincetown, S.N. Cook. Bookmark the permalink.